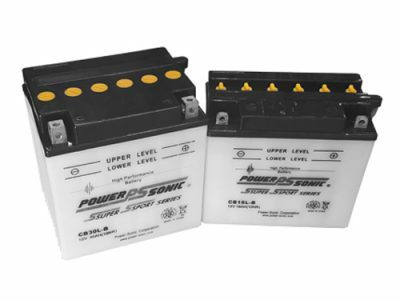 Power-Sonic Conventional are type of batteries which have flooded electrolyte and is very accessible. These batteries have to be carefully and periodically maintained. The conventional batteries are normally less expensive than the other types , but with the cost savings come more maintenance. 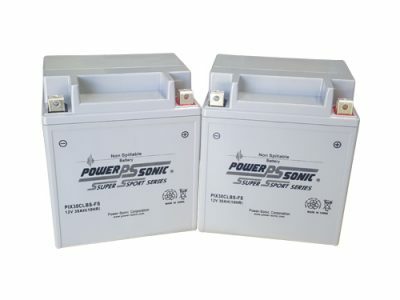 This Power-Sonic Super Sport AGM battery is sealed and activated at the time of manufacture. Very convenient to the point that all that needs to be done is put the battery into your vehicle and you are ready to ride. 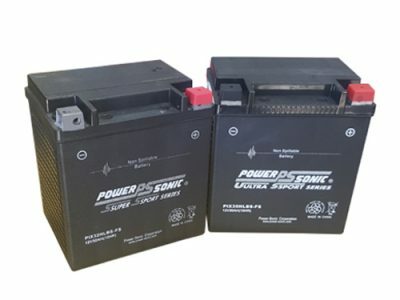 Power-Sonic Super Sport AGM Sealed Maintenance Free batteries are put into service, they become a completely sealed unit requiring a lot less maintenance than the Conventional Batteries mentioned above. Although the battery still needs to be charged on a regular basis if your vehicle is not in use, there is no need to monitor the fluid level in this battery type. 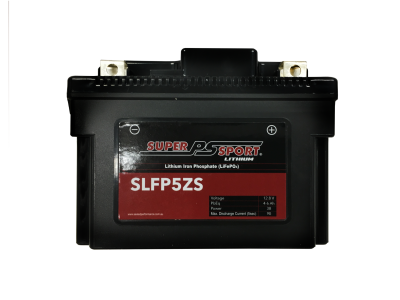 The ultimate lithium battery for all power sport applications. The Super Sport range is a high quality range of LiFeO4 batteries specificially designed for high performance Power Sport applications. The Power-Sonic Ultra Sport is an extra heavy duty series which have been developed to provide high standing currents and accessory loads that are required by some Motorcycles, P.W.C and ATV's. 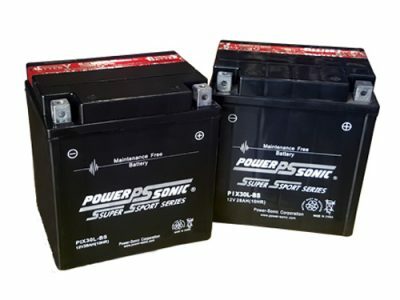 Power-Sonic Super Sport Series batteries offers a complete line of batteries to meet all of your Motor sport needs. They are manufactured with the highest quality parts and are competitively priced in a rapidly changing market.’The Power-Sonic Super Sport Series batteries are built with grit and tough terrains in mind. They are quality batteries designed to withstand the pressures that all-terrain vehicles have to deal with. Built with confidence by their ISO:9001 and ISO:14001 certified factory, the broad range of sizes and battery types makes the Power-Sonic Super Sport Series battery products one of the best choices available on the market today. Our Power-Sonic Super Sport range features products suitable for anything from a motorcycle through to powered water craft such as Jet Ski’s.